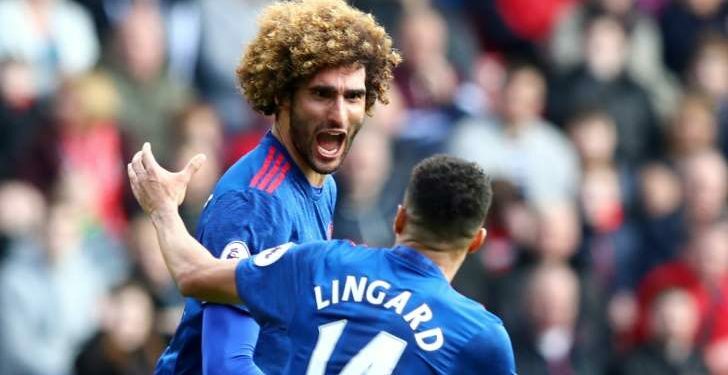 Manchester United claimed their 600th Premier League victory with a 3-1 win against Middlesbrough at the Riverside Stadium on Sunday. Marouane Fellaini‘s scored his first league goal of the season at the 30th minute to put his side on the lead. Jesse Lingard scored a powerful goal in the 2nd half, to double the lead. Boro’s Rudy Gestede got a goal for his side to raise a hope that was totally dashed by Antonio Valencia‘s injury time goal. With 3 points in bag, the Red Devils move to 5th position on the EPL table after a long stay in 6th position.